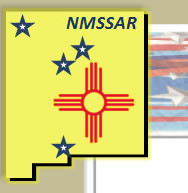 New Mexico's SAR members come from both Revolutionary descendants, as well as descendants of Spanish supporters. Revolutionary War descendants are people that can trace their ancestry to a soldier, or other supporter, of the cause of American independence. Proving relation to a current member of SAR or DAR is an easy way of becoming a member. Spanish descendants are eligible if they can trace thier ancestry to a Spanish soldier, or other supporter, that contributed funds to the American independence cause. NMSSAR is attempting to improve recoginition of this membership possibility.